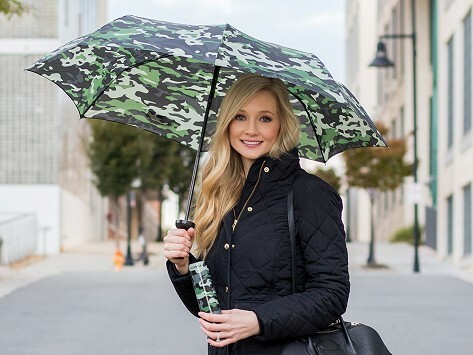 Vinrella is an umbrella playfully disguised as a wine bottle. It tucks away safely in its durable case, so belongings stay dry when you carry it in your backpack, briefcase, or purse. To make sure Vinrella stays fresh, just dry out both umbrella and case when you can. It makes a sensible yet unexpected gift for almost anybody, because into everyone’s life some rain must fall. And whether Vinrella is open or closed, that rain stays safely away.